The North Athletic Field (NAF) is the primary home of UCLA Men's Lacrosse. The field features a well kept natural grass surface, large seating capacity, and a central location on UCLA's campus. UCLA's IM Fields are the home of club sports, intramural sports, and open recreation. Night games are played here. 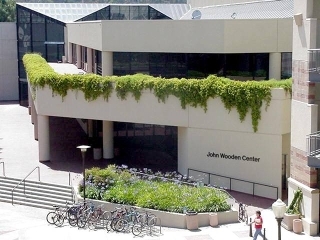 The John Wooden Center is UCLA's fitness center. Located in the heart of campus, the Wooden Center offers three gyms for basketball, volleyball, badminton, and gymnastics; a full complement of strength and conditioning equipment; four studios for fitness, dance, and martial arts; and many other amenities.